Post contains affiliate links which will earn a commission if a sale in generated through them. 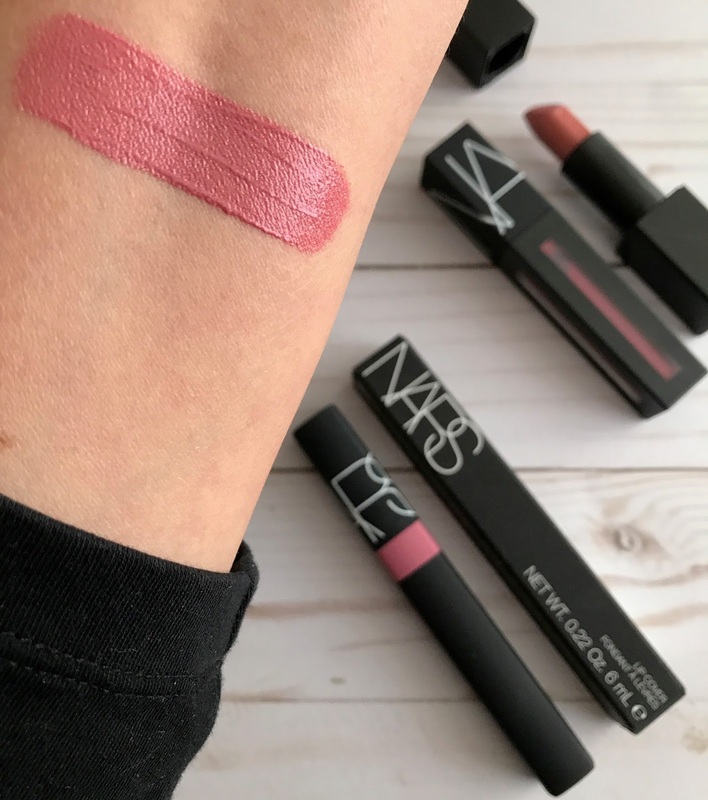 Introducing what is one of my new favorite lip products, the NARS Lip Cover in Summer Fire from the Spring 2018 collection. These Lip Covers are brand new to the NARS range and as soon as I started seeing photos of this collection, I knew that I would need Summer Fire and Hell Gate. NARS describes this new product as a highly pigmented, saturated slick of covetable color. It's supposed to offer intense full coverage with a velvet smooth texture and is infused with Passion Fruit Seed Oil and Vitamin E, known to moisturize and protect skin from free radicals and pollution. The finish is luminous. Summer Fire is a dark mid-toned pink mauve that has the finest shimmer infused in the color so that it reflects beautifully when the light hits it. It's hard to describe how pretty it looks on the lips because of that added shimmer, but it's very complimentary on. The best way that I can explain it is that it looks like it has a semi frosty finish, in a very pretty way. It looks beautiful on the lips and after wearing it all day yesterday I'm super happy that I started off with this shade. As is the norm with NARS lip products, the Lip Cover formula is very comfortable. It goes on creamy and smooth and has medium coverage to full pigmentation. Two coats is the perfect full-opacity coverage for me. Something that impressed me is the staying power of the product. Though this does transfer because it's not a liquid lipstick, I found that even though I was eating and drinking throughout the day I still had most of the product on my lips. I reapplied once in the middle of the day and I'm the evening when I went to take it off I still had a pink tint to my lips. The only con I've found with the NARS Lip Cover is that you have to dip into the tube a few times to fully cover your lips. I find the wand carries very little product and I have to dip into the well at least three times. Other than that I think this is a beautiful product from NARS and one I look forward to having in more shades. Now I have another product to look out for every time that they launch a new collection! NARS products are pricey so not sure whether I should be excited or worried. NARS Lip Covers are $28 and can be purchased on the NARS website or Barney's New York until Feb when they launch at other sites like Sephora.